HQ4 Montana X and Matrixx III, and Apex are now Available! I exclusively sell HQ and HQ4 kites. I believe they offer the best performance per dollar in the kiting industry. To place an order, call me: 719-200-2431. If you prefer not to talk, simply send me an email or text me, and I'll get your order going. Typically, most transactions completed before 12pm MST will ship the same day. Blowing out my older demo kites! In the latest iteration of the Montana, HQ appears solidly focused on making a top-tier backcountry machine. 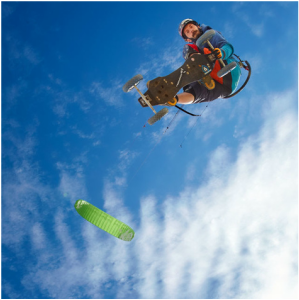 They've designed a solid, stable kite that does well in turbulence associated with mountain conditions while also having excellent depower to allow you to descend the slopes safely or dump lift when necessary in tricky situations. They've accomplished this while still maintaining the signature light bar pressure, speed, and hangtime the Montana series has been known for. Key features that have stood out to me in my testing are very smooth power delivery, excellent stability and depower; and superb light wind performance. This is partially due to the use of a mixture of 20 and 30D fabrics (equivalent to the Ultralight versions of other kites). 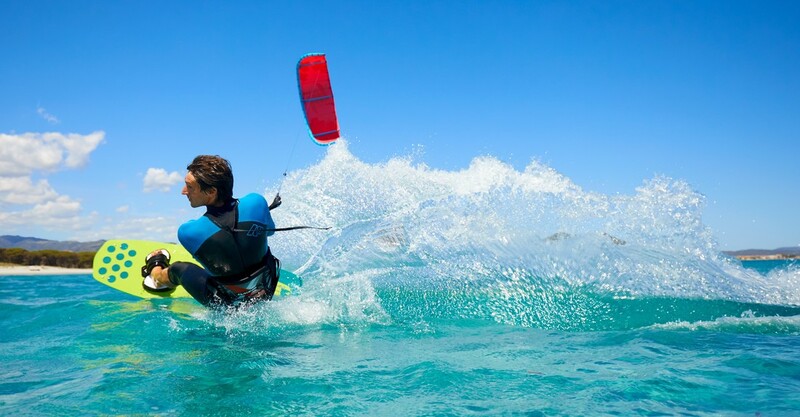 Another signature feature of this kite is its quick, carving turns. As a rule of thumb, the Montana X has a higher Aspect Ratio but also higher C shape than similar kites in the market - this makes for a kite that is not only extremely efficient, but also quick turning with continuous power through the loop. 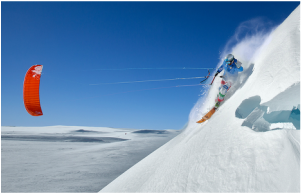 Tight loops become increasingly important on steeper mountain slopes where your available wind window is compressed. 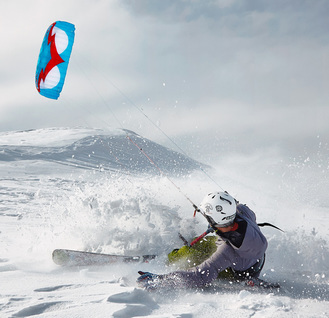 You also want a kite that dumps power quickly in these conditions, which the MONTANA X does. 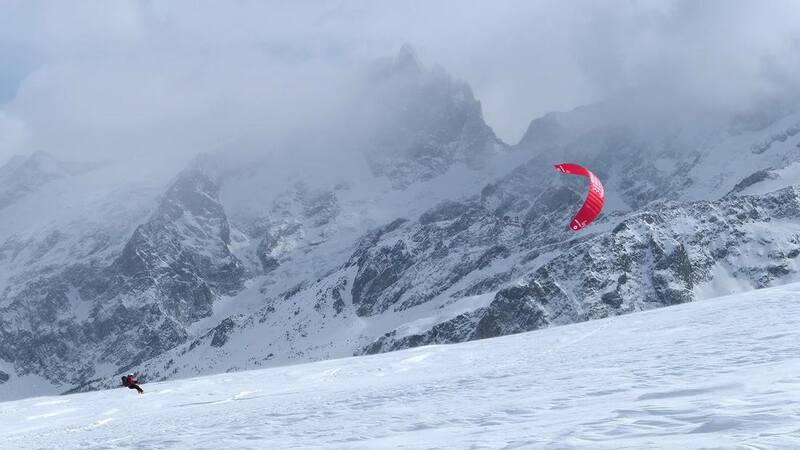 The feedback we are getting from guys using it in the alps this winter with time on multiple brands is that it is the best kite they've ever used in those sorts of conditions. This is becoming my favorite kite, to the point where I've even used it on water (but wouldn't officially recommend doing that). Are you looking for a high-performance kite to explore the mountains? A kite with enough power even in light wind conditions, and ample power in loops, so it can pull you up the steepest slopes and still be stable on the downhill ride? That’s exactly what has motivated us to develop the MONTANA X. A high end performance machine that reveals it's full potential on snow. This foil kite with radical lift gets turbocharged in loops, without demanding too much from the pilot. Solid performance, paired with stability and perfect control, always on hand - also perfect for landboarding. Stable, direct, fast and simply awesome, the new Montana shape strikes a perfect balance between stability and performance. Fast, with direct feedback and a strong pull – this is what the Montana is all about. It is this availability of power in all situations that makes the Montana extremely well-balanced and offers ambitious riders exactly what they need. The HQ4 Apex is essentially the HQ Apex V, but now being sold kite only. This allows you to either use a bar you already have, or use the One Bar, which is much nicer in my opinion than the old Apex V bar. So now I feel like HQ has a bar that matches the quality and performance of the Apex kite itself. The 5.5m has been my go-to back country high wind kite for a while. ​Are you looking for a kite you can trust 100%? One that won’t let you down even in extreme backcountry situations? One that lets you safely scale all lofty heights? We have developed the APEX just for you:, one of the best companions you can find for exploring the backcountry. The Apex was made to be your reliable companion when you venture into the backcountry. 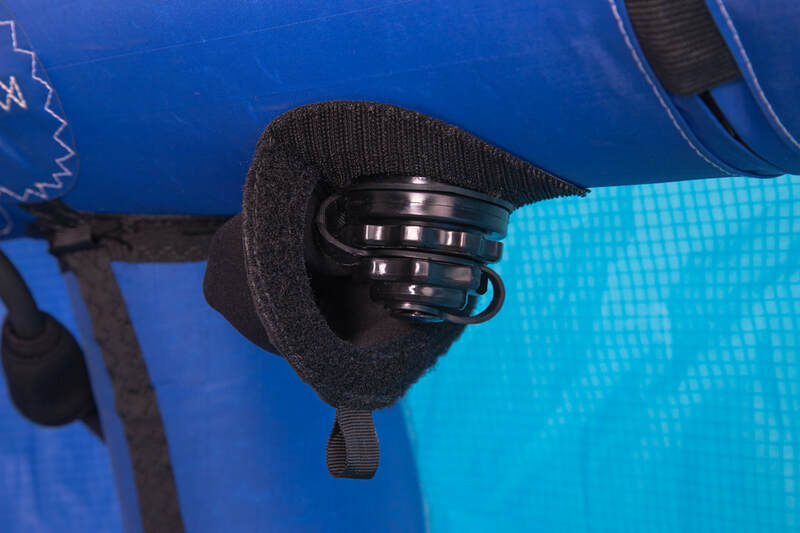 Stable, safe and easy to control in any situation, the Apex’s features are perfectly matched to the needs of beginners and backcountry riders. A combination of a small number of cells and a thick profile have been specially developed to maximize performance in difficult wind conditions and to ensure maximum stability. 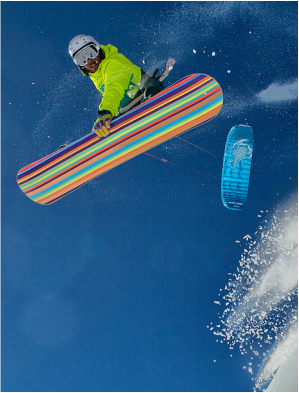 The Apex will pull you up slopes like it’s on rails, with tight turns and steady traction. 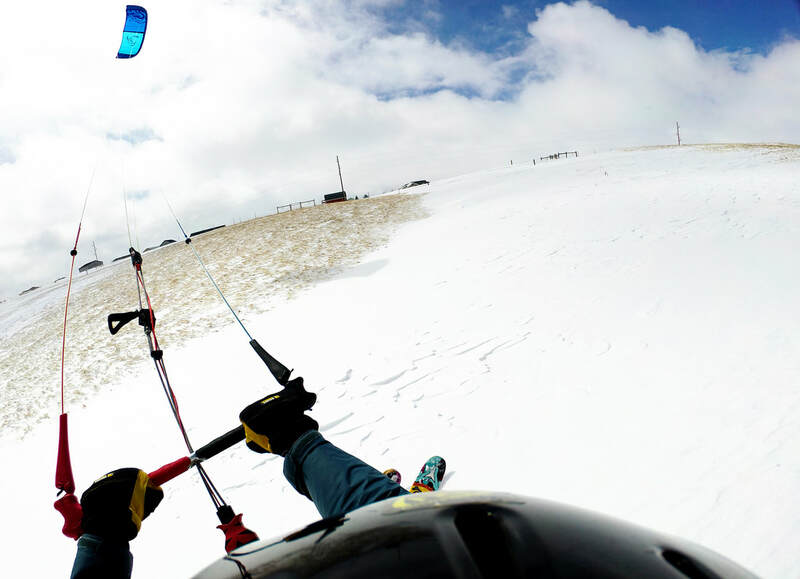 Switch to cruise mode and go explore with your kite, even on a mountain board. The Topaz is HQ's newest LEI kite, featuring a higher Aspect Ratio, more C-shape and leaner front tube that the Ignition II. This results in a kite that is lightning fast, has excellent boosting and more constant power through the turns. In my initial tests on the 9 and 12m, I've found the Topaz to have excellent stability, smooth power and SPEED! It quickly became my go-to LEI kite. Super easy relaunch and bombproof construction. The Topaz is going to be a sportier ride than Ignition, with more explosive pop. With that said, I've had beginners on the kite who praised the smooth feel and steadiness of the kite. Everyone who rides it comes away impressed - it really is a great kite for a wide variety of kiting styles. I liked the Topaz enough that I bought the 7m to use as my storm kite for the winter of 2018. ​The 3-strut design of the Topaz is based on an Open-C concept. The Leading Edge, which is pulled slightly over the wingtips, helps in water starts and guarantees high depower performance as well as maximum driving comfort. Bridles have been kept short ensuring they don't get tangled around the tips. ​Previous Generation Kites. Only available until inventory runs out. 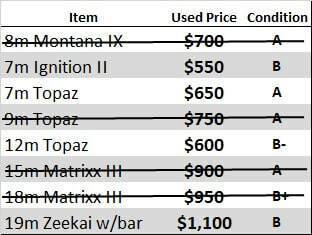 If you wanted one of these kites before and couldn't afford it now is the time to get a great deal well below MSRP. Call for details and to ensure availability. The Ignition 2 is a great kite for getting into the sport that you will keep you progressing well into the intermediate stages and beyond. The thick front tube and lower aspect ratio make for a grunty kite with better low-end power than the TOPAZ. Because of its excellent stability in gusty conditions, has made a great storm kite for me in years past. 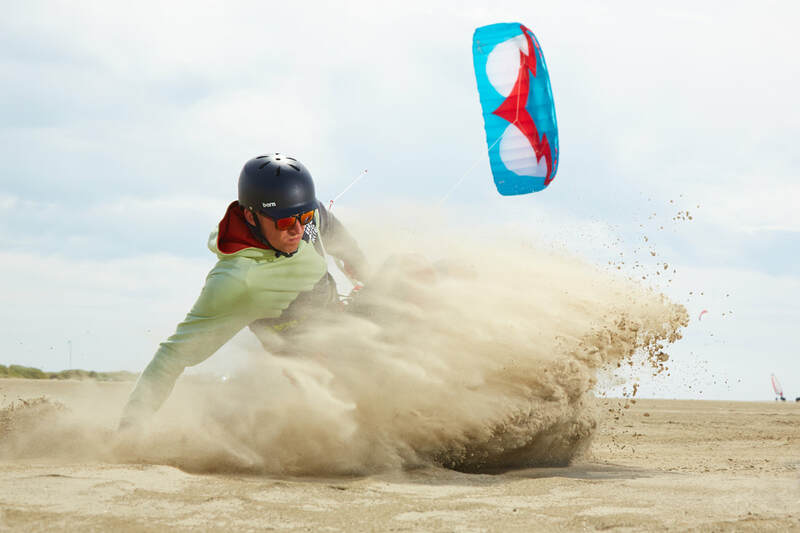 If you are new to the sport or progressing into more complicated freestyle maneuvers, you want a predictable kite that will make learning easy. 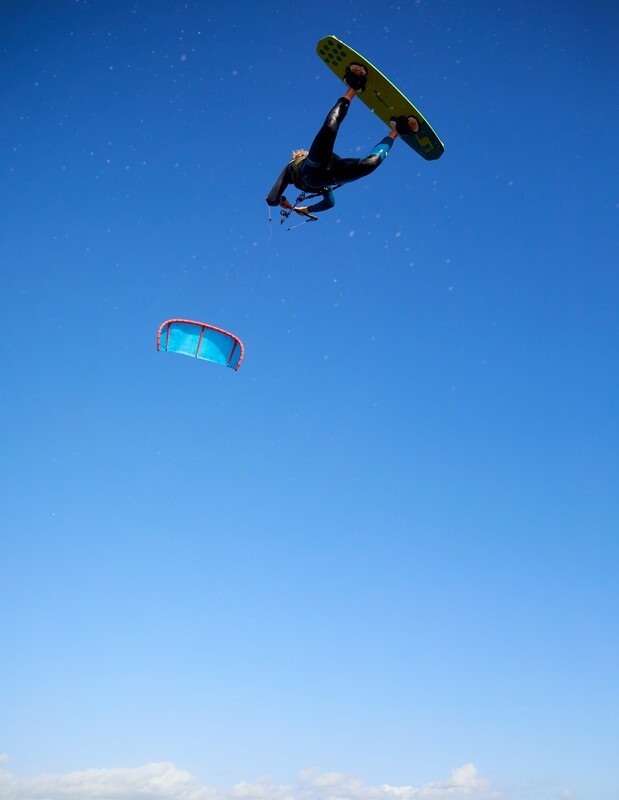 The goal of the Ignition II was to create that kind of kite that you can trust in every situation with top level Lift and hangtime, to let you fly high and get you down slowly again. The shape combines easy handling and relaunch with excellent lift and hangtime. With the new kites being made in the same factory as Core, the processing and quality of the materials are all top level, and with current sale pricing, the value is going to be hard to beat. 2016 HQ Montana IX: The Montana just keeps getting better. This year the Montana 9 is going to a higher Aspect Ratio, but also a higher C-shape. The result is a very efficient open cell foil with loads of lift, that loves to crank up mountains. It has a very quick, tight turn radius that keeps pulling the entire time. They've done away with the top-hat safety and replaced it with the safer front-line flagout (FLS) safety system. A new shape and air intake design makes the Montana IX extremely stable for hard use in the backcountry or aggressive freestyle moves. I had the chance to test the M9 against the 2016 Ozone Frenzy, and found it to have lighter bar pressure, quicker turning, more lift/pop and an overall much livelier feel. This kite loves to turn. 2016 HQ Apex V: The newest generation Apex is really a gem with a wide range of use from beginner to expert. Upgrades include a nicer bar and line setup and front-line flagout safety system. The Apex is not just a trainer kite but my go-to kite when conditions are nasty and you need a reassuring platform. I'm really happy with the changes to the Apex V (see my video review): they were able to take a great kite and still improve the flight qualities, making it all around more user-friendly and easier to fly. Rush V 300 School: The Rush V is an amazing little kite That packs a ton of value into a small package. It's extremely forgiving: very resistant to any sort of collapse, and when you depower - there really is almost no pull. So it is incredibly safe. The advantage of the Rush V School to most trainers is that when you are done learning, you will also have a viable depower kite - for either a lighter person or high wind days. I've had quite a bit of fun with the Rush School in 20+mph winds on both a mountain-board and a buggy, and even had it out on skis this last winter. As a depower trainer - there are few other kites that can offer the value and performance of the Rush V School - I highly recommend it. 2016 HQ Zeekai: For intermediate to advanced riders, HQ is adding a new Free-race kite to their lineup. The unique versatility of Zeekai offers stability, racing speed, lift and frightening hangtime. It is the ultimate light-wind kite. The ideal Zeekai customer is someone who has been kiting for a while, and is looking for the ultimate winter or landboarding kite to unlock adventures on those days when winds are struggling between 2-8kts. The Zeekai will deliver adventure in spades in these conditions. I had the 19m out many times last winter. It transformed how I viewed light-wind riding - no exaggeration. In winds so light that getting a closed-cell foil airborne would have been problematic, you can set the Zeekai out, give a quick tug to the front lines and be off an running. And jumping - with massive glides. It brings a whole new level of enjoyment to super-light wind riding and will have you looking forward to sub 6kt wind days. The speed and upwind reach of this kite in low winds need to be experienced to be believed.